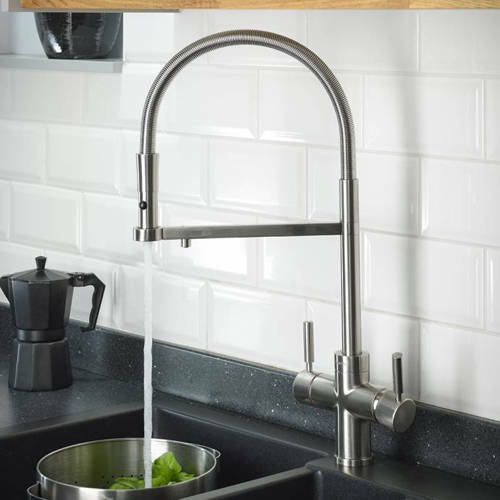 Abode Pronteau > 3 In 1 Professional Boiling Water Kitchen Tap (Br Nickel). 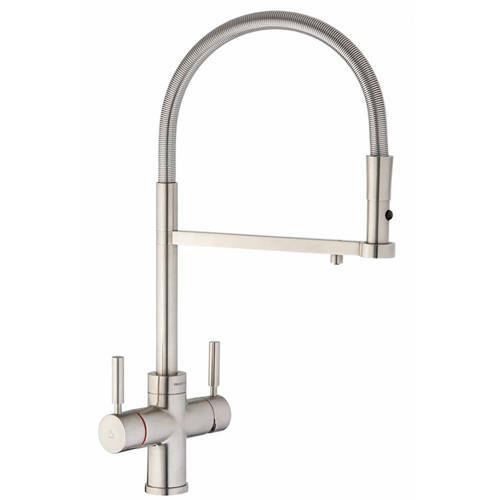 Abode Pronteau Professional 3 in 1 kitchen tap in brushed nickel finish. 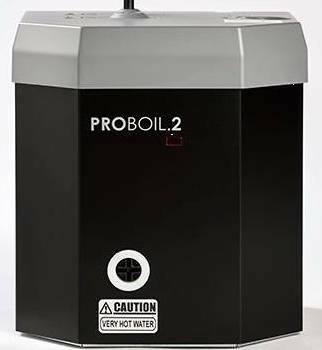 98° Filtered Boiling Hot water, Plus standard Hot and Cold water with the PROBOIL2 under counter boiler unit included. Steaming boiling hot filtered water is delivered from the separate outlet on the extension bar. 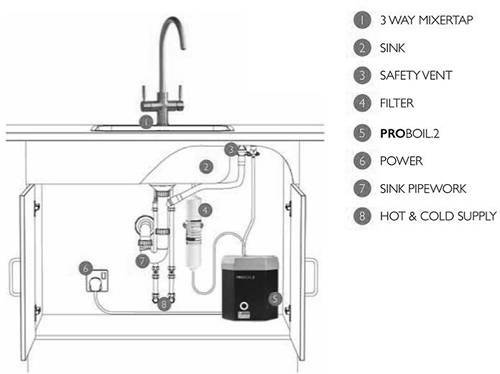 The addition of a pull around spray function on the standard Hot and Cold water feed makes cleaning tasks that much simpler. 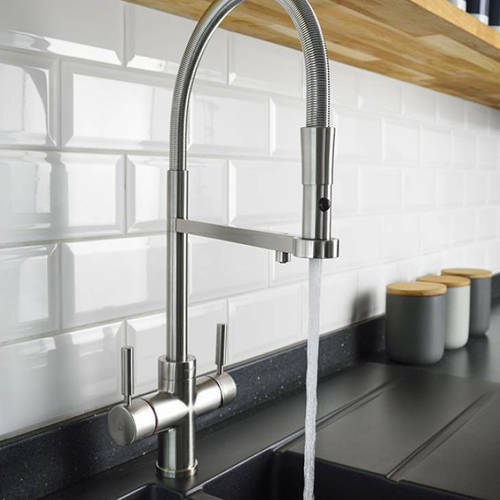 Minimum hot water pressure: 1.2 bar pressure required.